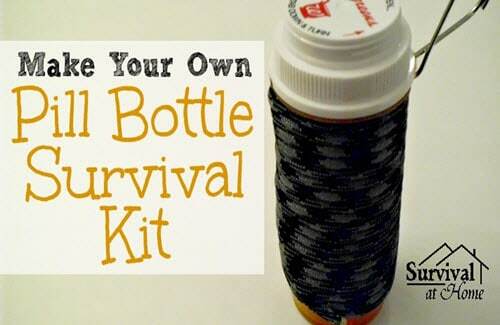 Whether you keep it in a pill bottle, a coffee can or a zip lock bag; it just makes sense to have some kind of survival kit handy for emergencies. Here we look at a micro-kit stored neatly in a pill bottle. You’ll be surprised at all that can fit in that used bottle! Take a minute now to build one of these…you’ll be glad you did.